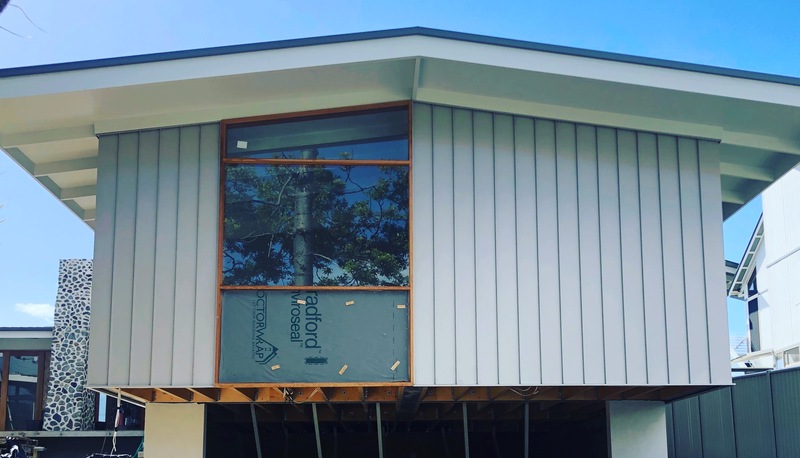 Skilled Roofing » Why use Metal Cladding on your next Byron Bay Roofing Project? 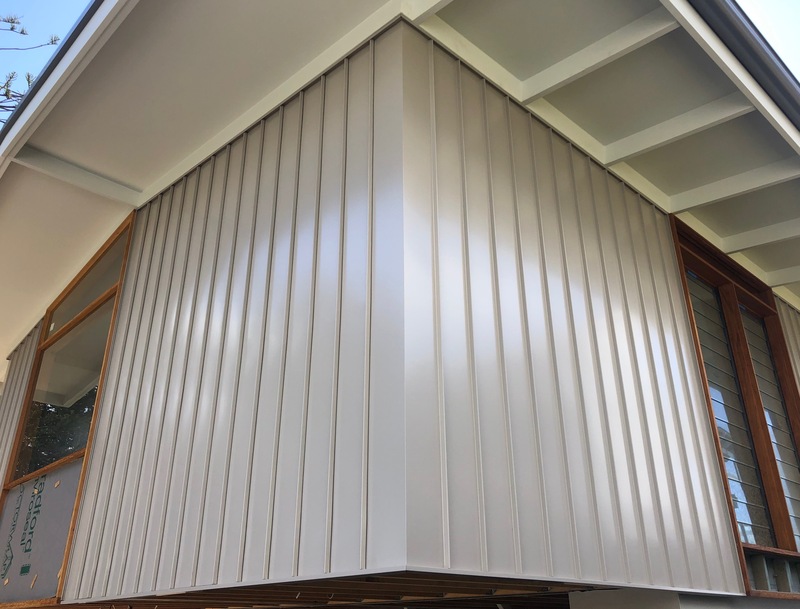 Why use Metal Cladding on your next Byron Bay Roofing Project? The popularity of metal cladding and facades is on the increase, and there’s no surprises why. The design appeals to architects, builders and renovators alike. The flexibility of the material, as well as the modern, contemporary look makes for an eye catching facade solution. Being a light weight material, metal cladding also requires very low maintenance. It is also resistant to fire, and does not absorb any kind of moisture. You’ll also find this type of cladding makes the building energy efficient and helps in reducing electricity bills. The skilled team have been busy working on a metal cladding installation at Pottsville for boutique builder DTA Building. The design team from Dominic Finlay Jones Architects have worked their magic to create a contemporary look to suit the beachfront location. We highly recommend the use of metal cladding to designers and builders for its flexibility, finish and versatility. We look forward to sharing further images of this metal cladding project in the coming weeks. In the meantime, contact us to find out how we can help with your next metal roofing project. Mark is the director of Skilled Roofing, leaders in the roofing industry specialising in all aspects of roofing services including new metal roofing, roof restoration, roof replacement, roof repairs, commercial roofing, ALUCOBOND® cladding, copper roofing, zinc roofing, wall cladding, gutters, fascia’s and downpipes.